Our fleet of barges and tugs have been carefully selected to work in our specialised industry and are equipped with the essential tools to make our job as streamlined as possible. 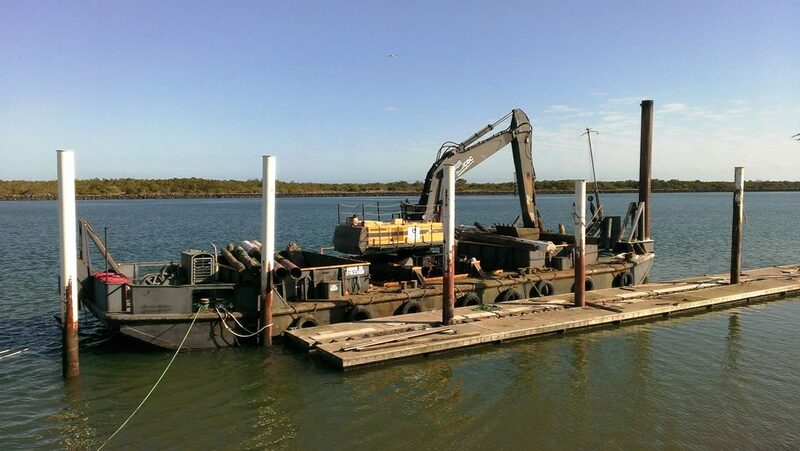 From piling, dredging, salvage and towing, our fleet of vessels have worked in the toughest of environments and stood the test of time. Workboat 29 is our baby of the fleet. She is road transportable and has a very shallow draft, which makes her a great little vessel for shallow water works. Jack Up Barge, the three legged, triangular specialist barge, perfectly suited to geotechnical drilling and marine construction, due to it’s stability and sturdiness. 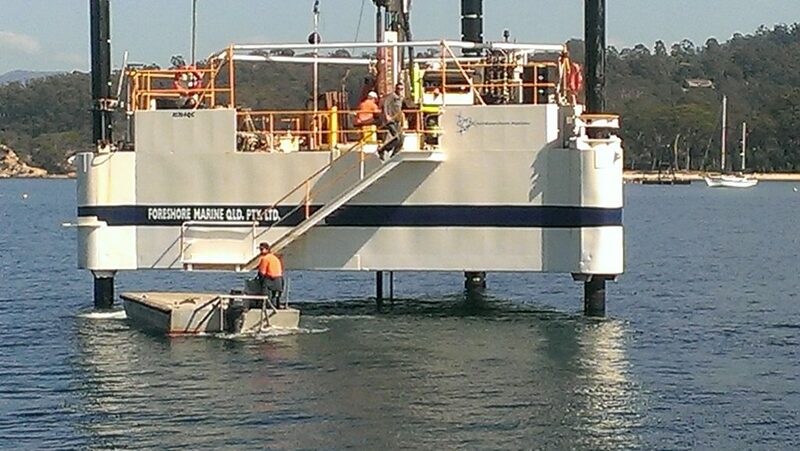 Jack Up Barge can be jacked up on her three spud legs and can work in waters up to 20m deep. She has a central moon pool for drill rigs to be mounted over, and accommodation and power plant with a 75kVa generator on board. Titan, the princess of our fleet, is a beautiful little lady who knows how to handle the big barges! 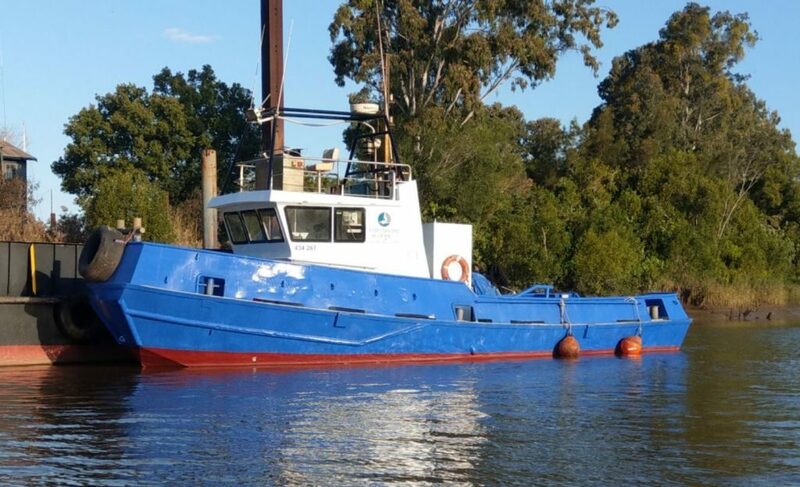 At 14.3m in length, twin screw with her two 400 Cat engines, her shallow draft and 12 ton tow anchor-handling winch, she is the perfect harbour tug anchor handler workboat. Titan is in 2B survey. She has just relaunched from the slip after getting a complete overhaul. debris. She has recently had a make-over on the slip. 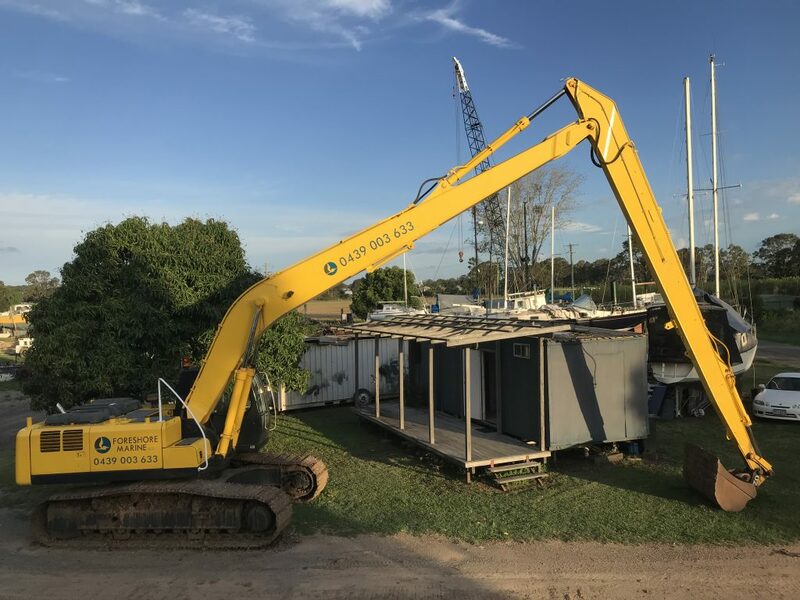 The Longreach Excavator has recently had a full makeover and is in tip top shape! 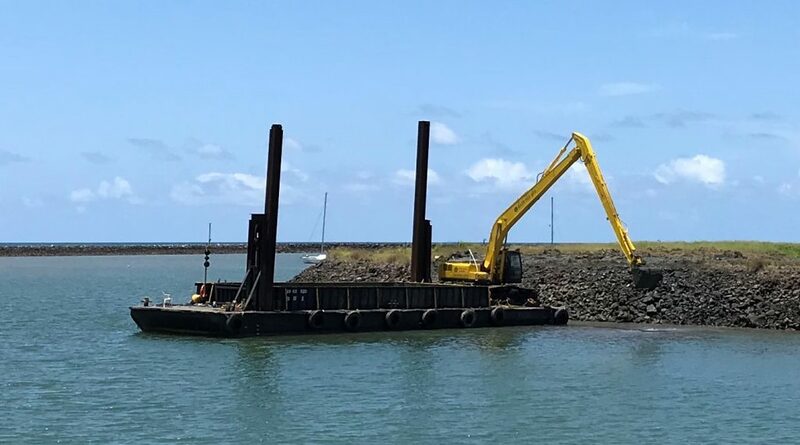 Hyundai 30 ton longreachis the perfect excavator for those deep dredging jobs. She sits on our DB1 barge and is Trimble ready with a super long boom and 900mm & 1300mm buckets. Ibis II Barge is our big girl. She has two hopper bins and a 65 ton Volvo excavator on board. She is perfect for big dredging works and her bins can also be used for marine construction and demolition works along with salvage. The Ibis II is Trimble fitted. 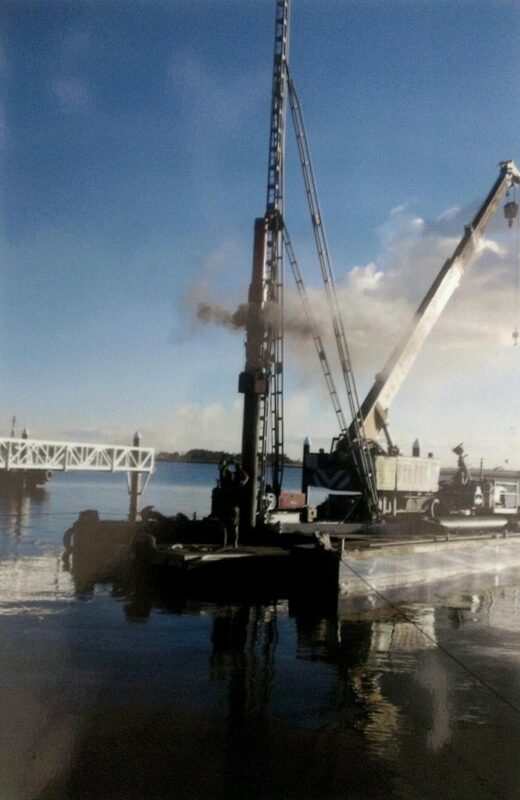 PLB1 Piling Barge was designed and fabricated by Foreshore Marine. She is road transportable, making travelling from job to job easy and affordable. Fitted with an onboard crane, she can be kitted out with the appropriate piling gear for each specific job, and is also perfect for marine salvage. 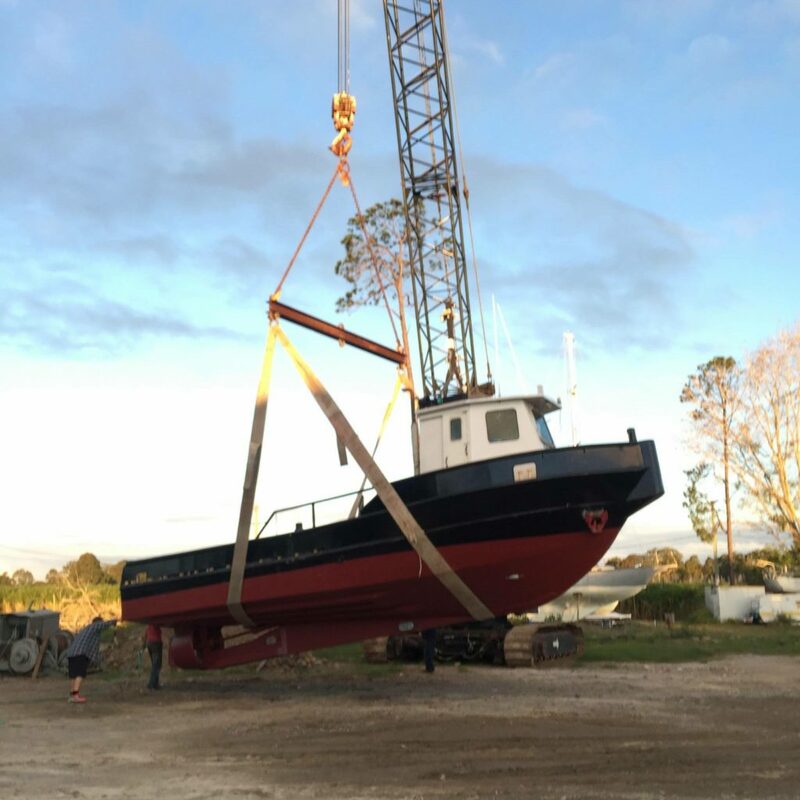 She was used in numerous salvage jobs after the 2013 floods in Queensland as she was a good, sturdy barge with a crane for lifting the vessels & debris. Beetle 1 is a terrific little work punt designed and fabricated by Foreshore Marine. With a HDPE poly hull and aluminium deck, maintenance is never an issue. She is a great little vessel with a 60hp tiller steer.